The JSON Resume format is an open standard, for storing resume content separately from any visual style. 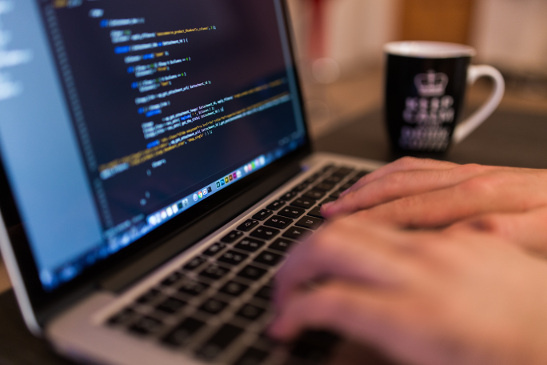 Place your resume data in source control if you like, and track it over time. Even create branches, when you need resume content that is custom-tailored for specific job opportunities. Apply a template to your content, to automatically generate a professional looking resume in Microsoft Word format. You can use Word or LibreOffice to convert your resume into PDF or HTML format if you wish. ResumeFodder gives you a choice of two front-ends. You can generate resumes online, without installing any software. Or you can use a command-line utility, to generate resumes entirely on your local machine with no Internet connection. ResumeFodder is written in Go, and compiles to a standalone executable with no dependencies. 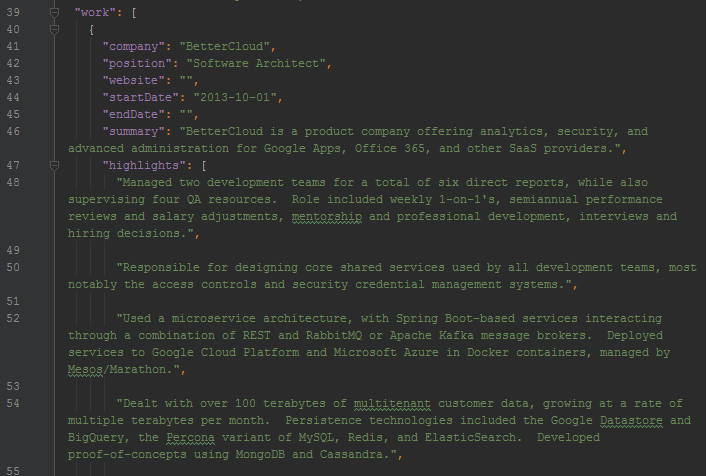 ResumeFodder supports a handful of extensions to the standard JSON Resume spec. 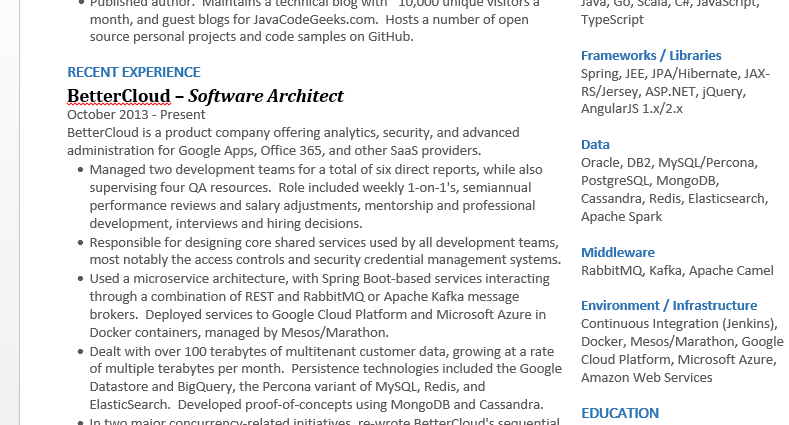 You can have bullet-point highlights in your summary section, group your job history (e.g. "Recent Experience" versus "Prior Experience"), and more. 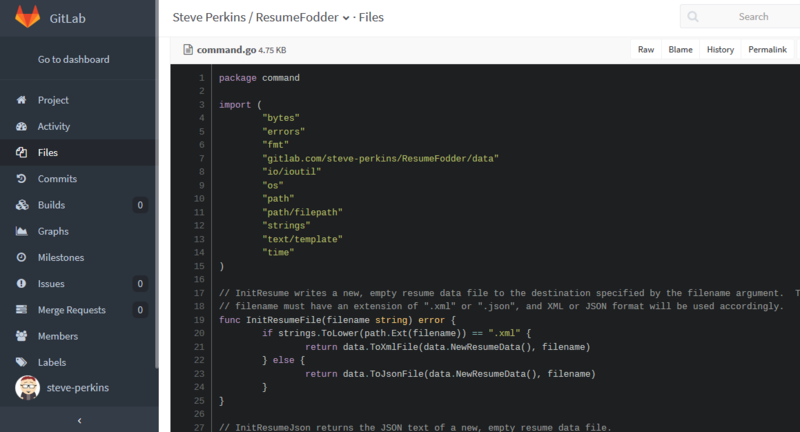 However, ResumeFodder maintains compatibility with other JSON Resume processors. All of the extension fields are completely optional, and should be ignored if you use your data file with another processor. ResumeFodder is open-source under the MIT License, and hosted on GitLab with a GitHub mirror. Contributions are welcomed, especially for creating new templates (no coding skills required!). All of your data is completely private. The command-line generator runs entirely on your local machine, with no Internet connection. The online generator does not log or store any resume content.